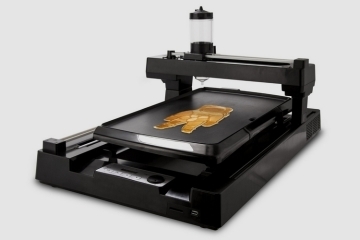 Remember that countertop appliance that makes cookie and waffle bowls? That was awesome, allowing you to eat your cereals and ice cream in a bowl that you can stuff into your mouth afterwards. 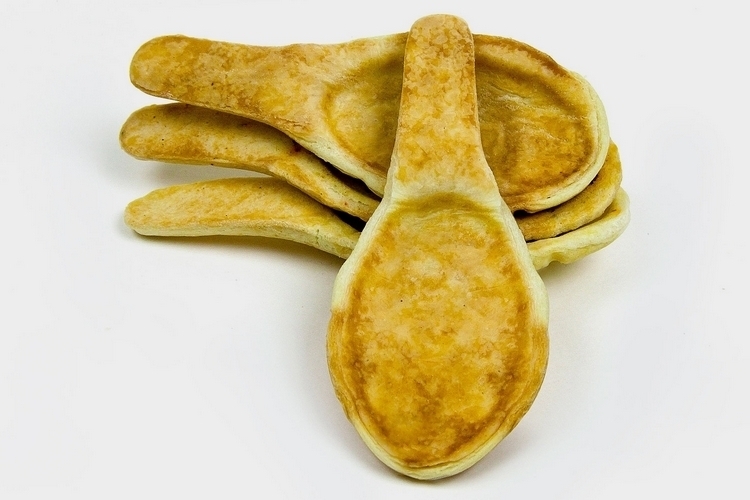 This Edible Spoon Maker takes things to the next level, allowing you to eat your spoon the same time you’re munching on your bowls. 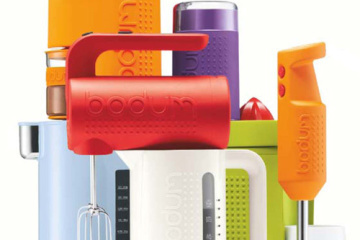 That’s right, this thing lets you turn any ordinary dough from the supermarket into an edible spoon-shaped bread that you can use to scoop out soup, stew, and ice cream out of a bowl. Yes, the spoons are perfectly functional, too, although you’ll probably end up going through a few while finishing up a big bowl of steaming hot soup (hey, bread gets soggy). 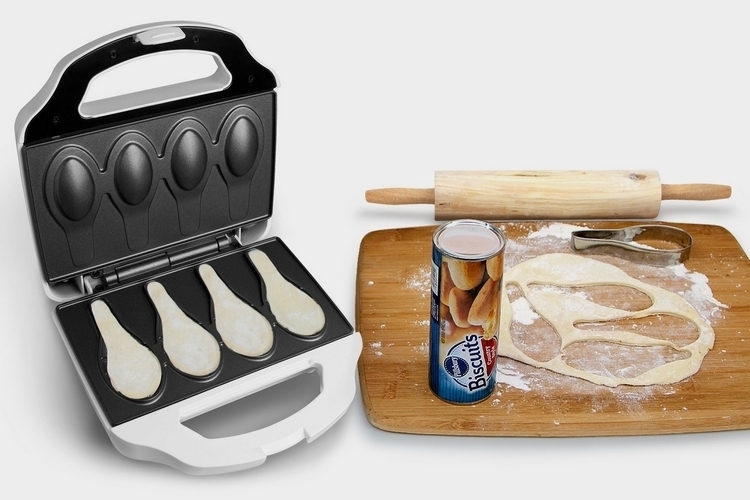 To start baking with the Edible Spoon Maker, you simply lay out your dough on a cutting board and use the included spoon-shaped cookie cutter to get your raw spoons. 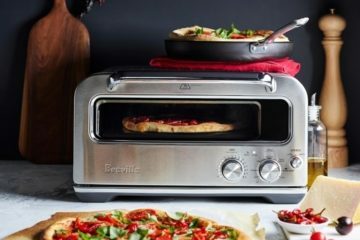 When that’s done, pre-heat the cooktop, start laying down the spoon-shaped dough inside the individual receptacles on the appliance, and close the lid. 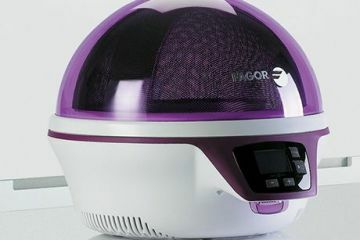 It can bake up to four spoons in one go in just three minutes each time, ensuring you can crank up dozens of these with a very small time investment. 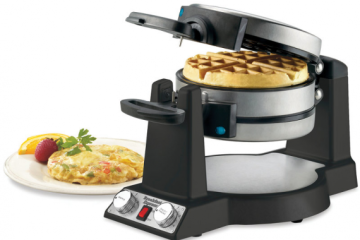 Features include a nonstick surface for easy cleanup, a built-in thermostat for precise cooking, and indicator lights that tell you when the machine is “ready to bake” and the food is “ready to eat.” While it operates with the wide base on the countertop, the appliance can also stand on its side, so you can push it flush against the wall when not in use. 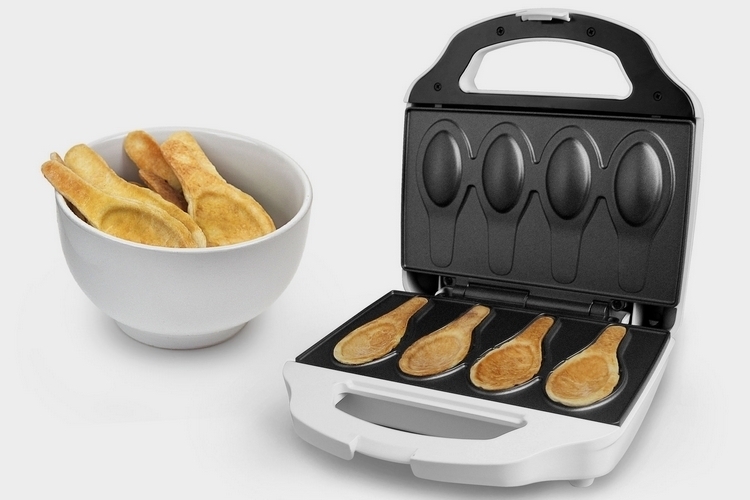 No pricing yet, but the Edible Spoon Maker is slated to come out soon. Waiting! When will the bread spoon maker be available? 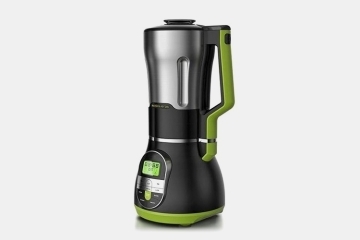 Perfect addition to my cooking gadget collection. Anything else along the same lines available from your company?